A 40-car field or even better is expected Saturday when PASS/IMCA’s sprinters join the 410 sprints and late models at Port Royal Speedway for that venue’s first night race of the season. 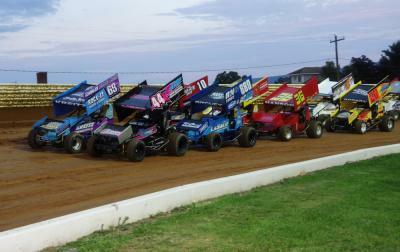 Gates open at 4 p.m. and racing is set to start at 6 at the historic Juniata County Fairgrounds track. Zach Newlin, last year’s points champion, is among those planning to be on hand, as are several other former Port winners and a good selection of 2019’s large rookie field. On Sunday, BAPS Motor Speedway in York County – now 65 years since its opening – will feature an all-open-wheel racing night, with 410 and 358 sprints as well as PASS/IMCA. More than 30 pre-entries have been received for this show, which will begin at 5 p.m. Again, the field will include multiple former BAPS winners and members of this year’s rookie class. BAPS and Port Royal are the two speedways appearing most often on PASS/IMCA’s 42-race 2019 schedule, with nine races scheduled at each track. Ten raceways appear are scheduled to race at least once. Next weekend (April 12 and 13), PASS/IMCA will make the first of its two scheduled appearances at the venerable Williams Grove Speedway (celebrating its 80th “birthday” in 2019) on Friday night, then making its second of eight visits to Path Valley Speedway Saturday. Ken Duke Jr. inaugurated the 2019 season with a win at Path Valley on March 23.